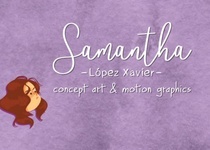 I'm a digital artist based in Mexico. Cartoon and cute styles get me all fired up. I can do simple 2D MoGraph and graphic design work as well.